Similar to Rescue 77 but not the real thing. Engine77 - was a Pierce MFG truck. 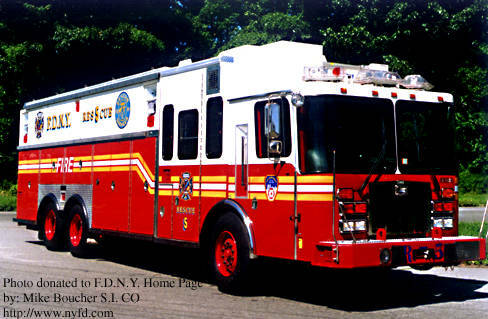 Similar to Engine 77 but not the real thing. Station 77-was Unused LAFD Station 21, picture in link is from1926, which was damaged in an earthquake. Coby Bell as NYPD Officer Ty Davis Jr.
Not the same truck used in Third Watch but very similar to the one used. 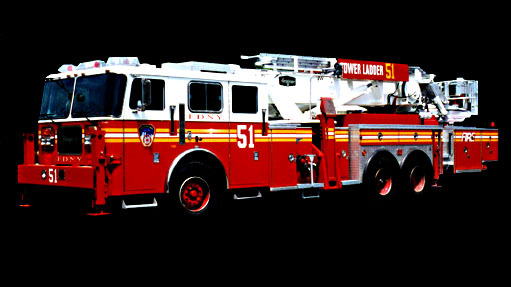 Not used in Third Watch but is an awesome piece of equipment.